Whisking matcha with a traditional bamboo chasen. All photos courtesy of Kettl. We recently visited Zach Mangan, co-founder of contemporary tea company Kettl, at his studio in Brooklyn for a modern-day Japanese tea tasting, where we tried frothy and exquisite matcha. Enchanted and intrigued by the bright green powder, we asked Zach for a lesson on matcha production and preparation. Matcha is very high-grade powdered Japanese green tea that is whisked in a bowl to produce a velvety, espresso-like brew. Originally from China, it was introduced to Japan in 805 A.D. by Zen monks who found the tea an ideal source of the energy they needed for marathon sessions of zazen meditation. 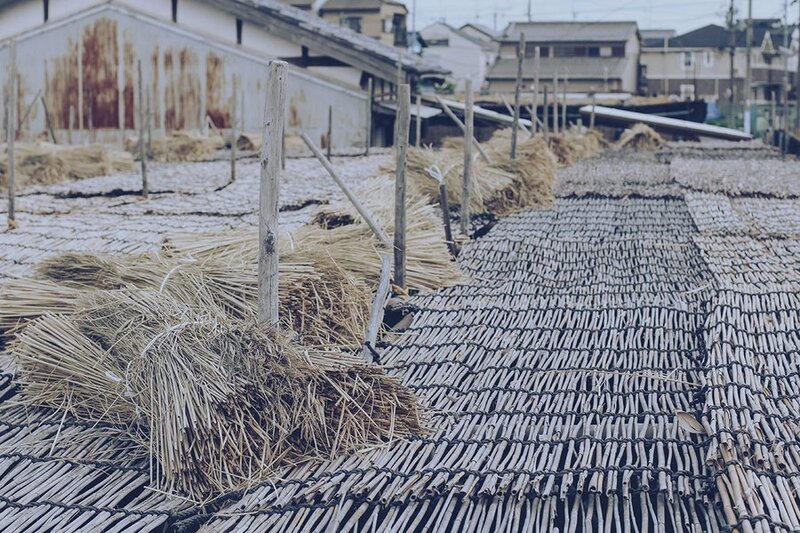 Shortly after the tea seeds arrived on the shores of Japan, they were planted in the small town of Uji, which quickly became the center of production for matcha tea. 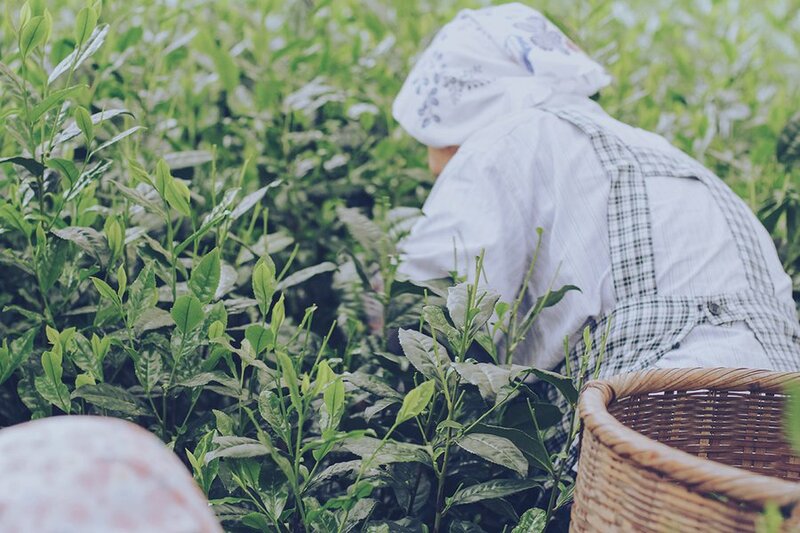 Uji began supplying the finest leaves to the neighboring city of Kyoto, which became the home of Japanese tea culture. Throughout the centuries, Japanese tea ceremonies and tea aesthetics were developed and codified in Kyoto, and today matcha remains a centerpiece of culture in both cities. Matcha is produced in three regions of Japan: Uji, the most famous producer; Aichi Prefecture, the largest producer by volume; and Fukuoka Prefecture, the newcomer. 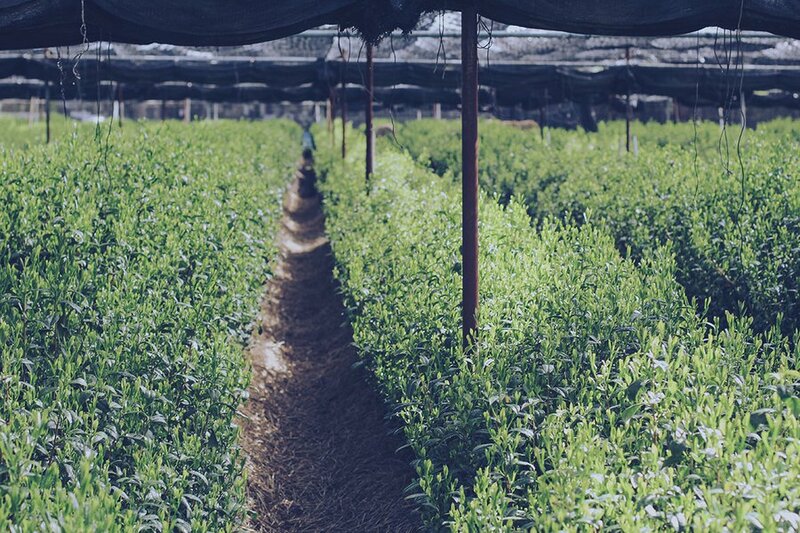 Each region follows the same standards for growing matcha tea leaves, but small differences in production style, plant varietal, and terroir lead to marked differences in flavor. A shaded matcha field in Uji, Japan. 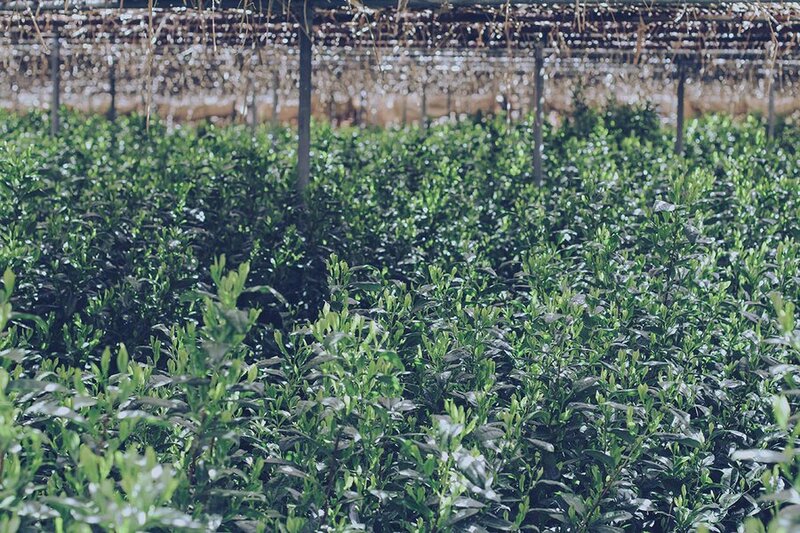 Tea plants grown for matcha are shaded for roughly twenty days prior to harvest. A simple structure is built around the tea bushes — a combination of netting and hay used to block direct sunlight. 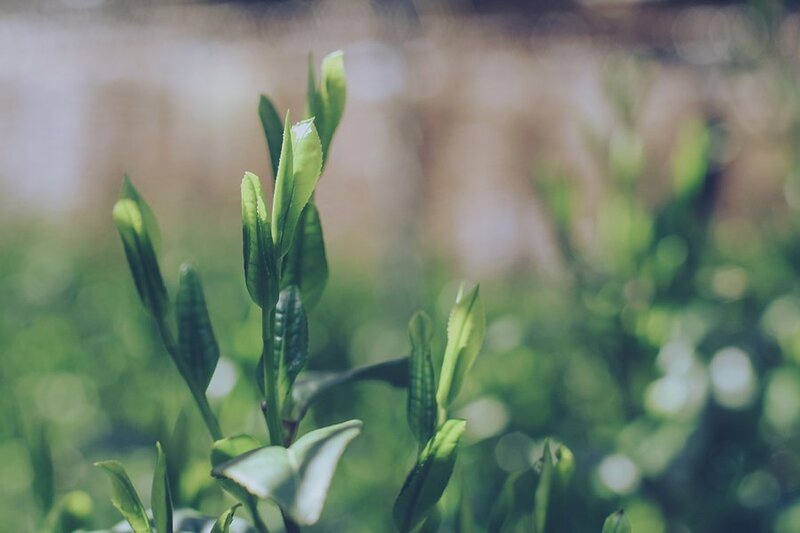 Shading the leaves causes a disruption in normal photosynthesis, causing the tea plant to produce chemicals like theanine that intensify the plant's green color, sweetness, and umami. After an appropriate amount of shading, the best leaves are handpicked and processed into tencha, broad, flat leaves that are top-loaded into a stone mill and finely ground. The stone mills used to make matcha are almost unchanged from their original design. The only difference is that they are now operated by an electronic motor instead of the original hand crank. Each mill slowly spins clockwise; slow being the key word — too fast, and heat from friction will damage the flavor of the tea. 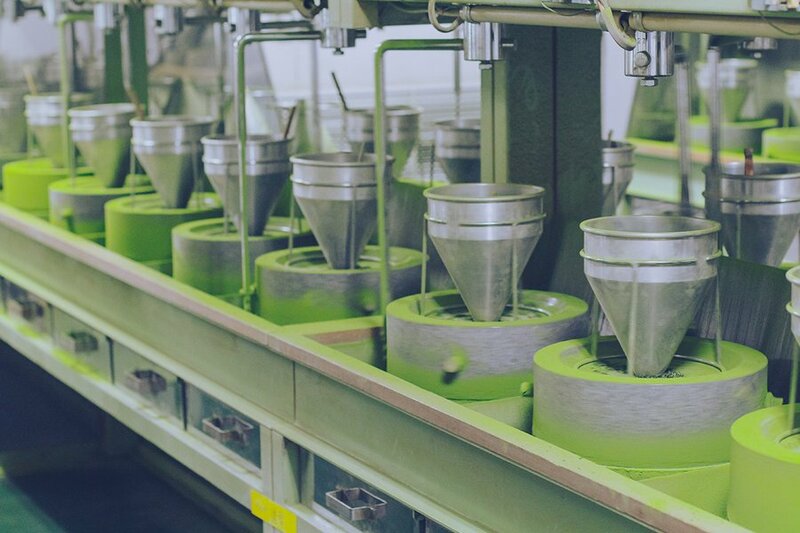 The grinding process is what separates matcha from other Japanese green teas. 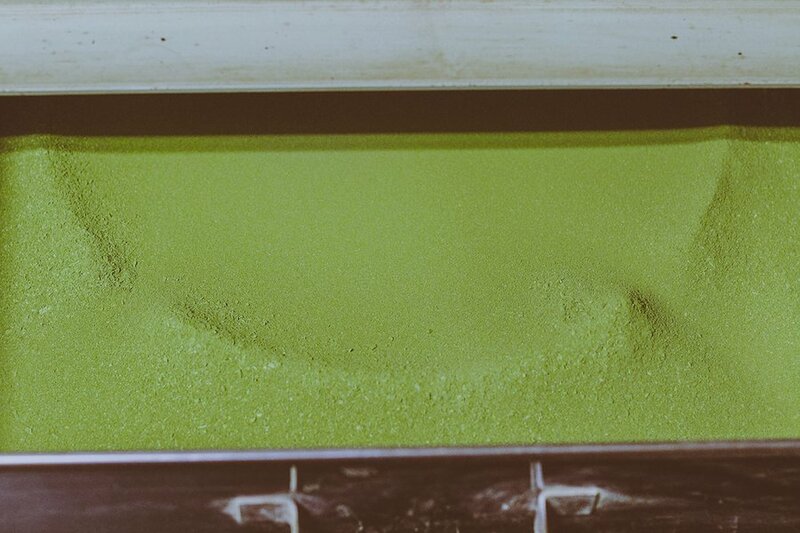 A single mill typically produces about twenty grams of matcha per hour. The powder is superfine with individual particles measuring just a few microns. True matcha is separated into two categories: usucha and koicha. Usucha, the most popular preparation of matcha, means thin (usu) tea (cha). It is a style and a grade — leaves are grown and processed expressly to manufacture thin tea. Usucha is prepared with two grams of tea in three ounces of water, whisked vigorously with a bamboo chasen (whisk) until a fine foam appears on top. It is served in a traditional tea bowl, savored, but drunk quickly — three sips, and it should be gone. Flavors are deep, creamy, grassy, and nutty. The mouthfeel is thick and velvety, similar to fine espresso. Koicha (thick tea) is made with four to five grams of high-grade matcha made specifically for this style with two ounces of water, which is slowly added to the bowl and mixed into a tea paste. 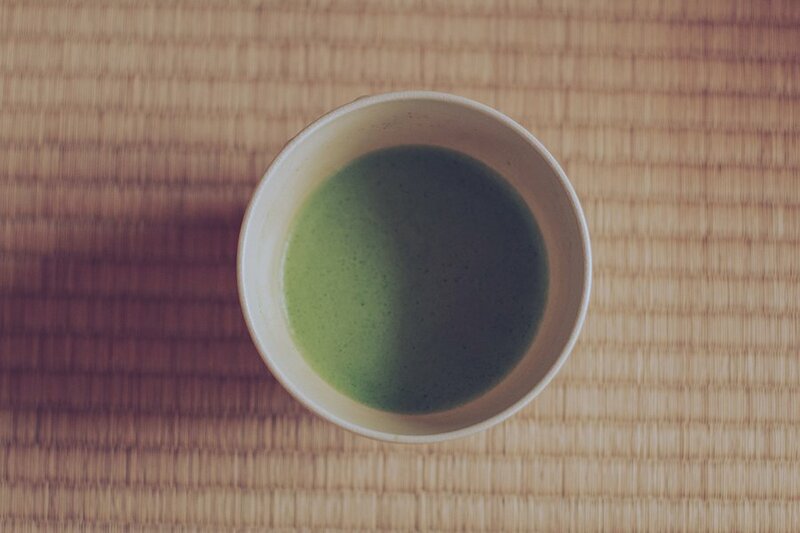 The consistency of koicha is very thick, like paint or buttermilk. Flavors are reminiscent of melted chocolate with a tangy umami finish. Drinking koicha is an extraordinary experience not soon forgotten. Varieties of culinary matcha are available for use in everything from smoothies and cakes to ice cream and lattes. Culinary-grade matcha is produced from coarser green tea leaves of the later harvest and generally has higher astringency and lighter green color. A bowl of prepared usucha matcha. Preparing matcha is easy. Essential items are a chasen bamboo tea whisk, a chawan matcha tea bowl, and a tin of high-quality matcha. Take care storing matcha: Always keep tea in an airtight container away from light, heat, and moisture. The refrigerator works best. Matcha should also be consumed quickly. It's at its freshest for two weeks after opening. 1. Preheat the tea bowl by filling it with a small amount of hot water. 2. Pour off the water and pat dry the bowl. 3. Add 2 g. of sifted matcha powder. 4. Slowly pour 70 g. of hot water (180 °F) over the tea powder. 5. Use bamboo chasen to vigorously whisk the tea in a Z motion for 20 seconds. 6. Once a fine foam develops, drink directly from the bowl as soon as possible. Tour a matcha farm and factory in Japan. Spring tea buds from a field in Fukuoka, Japan. Tea leaves for matcha growing in the shade in Uji, Japan. A shaded field in Uji. 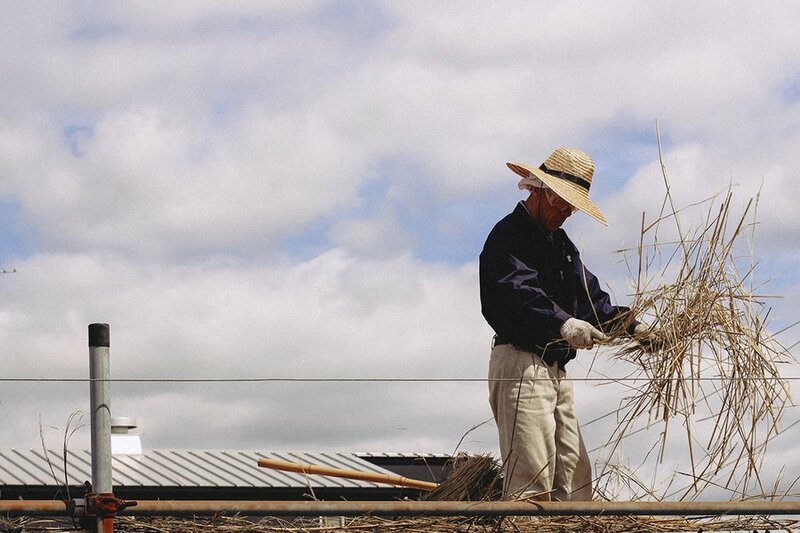 Hand-laying straw on a shading structure in Uji. A traditional tana shading a matcha field in Uji. A veteran tea picker harvesting matcha leaves in Fukuoka. Stone mills grinding tencha leaves into matcha powder in Fukuoka. The matcha production manager at a plant in Fukuoka. 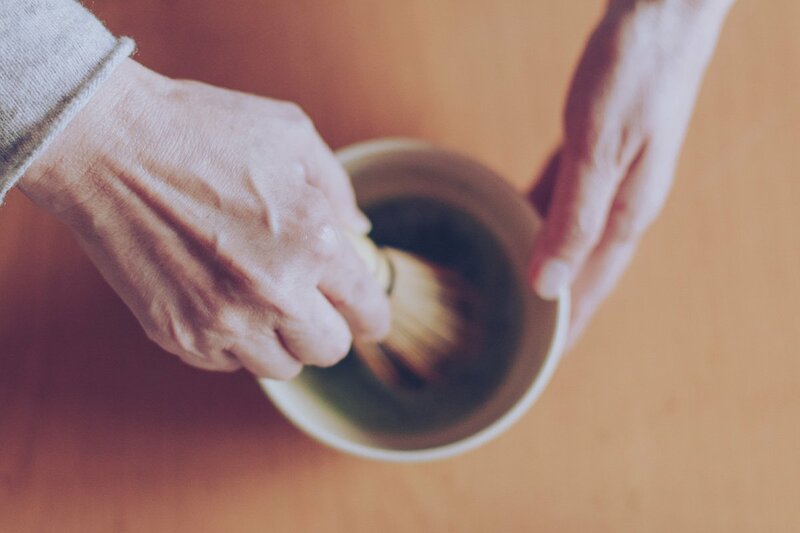 Whisking matcha powder with a traditional bamboo chasen brush. Zach is the co-founder of Kettl, a contemporary tea company based out of NYC and Fukuoka, Japan. You can follow him on Facebook and Instagram. He travels for the tea.